If Ebooks looked good, this sudden “novel” devotion to “intrinsic worth” wouldn’t have sprung up. … “Great lit transcends blahblah” is an uralt non-argument revamped for Ebooks. One thing me and Jenný have in common with our parents is that we tend to talk about our work a lot. As a result we know way too much about linguistics and journalism (our mother’s fields) and psychology (which is what dad does). A photorealistic painting of pretty people in poses, often in some state of undress. A photorealistic painting of a big impressive thing: spaceship, dragon, sword. Both are very very common and very very boring. Now the original inception of the Knights and Necromancers series was based on a highly stylised etching of three ravens that my sister made more than a decade ago (I’ll write a blog post about that one of these days) so a logical thing to do would have been to base the styles of the covers on that print. But that wasn’t the effect I wanted. 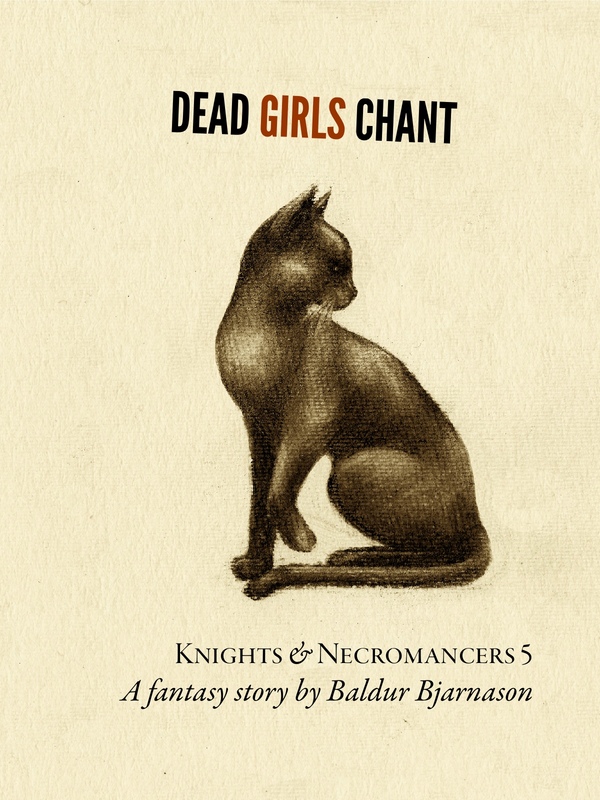 Be entirely unlike a typical fantasy cover. At the same time work as a fantasy cover. One approach would have been to take the approach Penguin did in the sixties and seventies with cover designs based on a tight grid and often abstract images. But I wanted a cover that implied a sort of sketchy roughness. 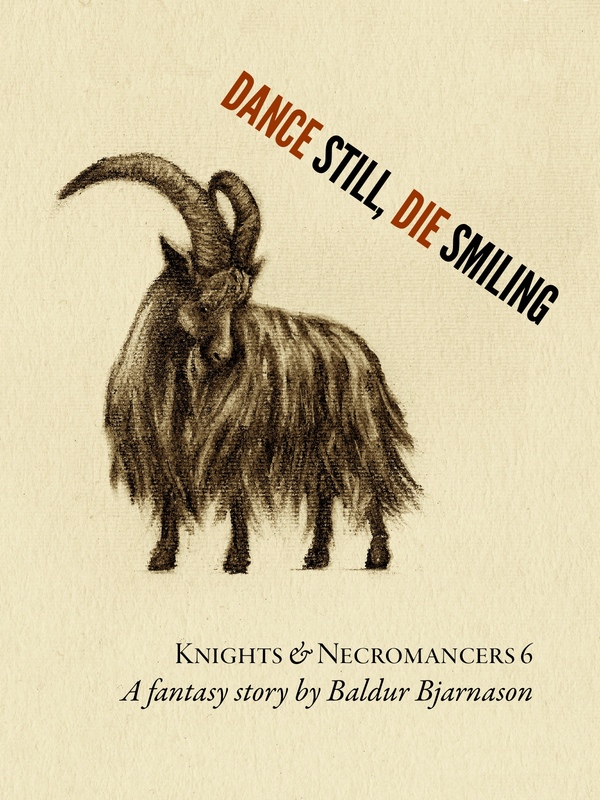 I wanted it to be as rough and loose as the typical fantasy cover is realistic and detailed. Jenný came up with the idea of charcoal on textured paper and after she’d done the first illustration it was clear that she had understood even better than I did exactly what it was that I wanted. One particular thing has come up time and again as me and my sister have been working on Heartpunk and other Studio Tendra projects is that most people really don’t get why everything takes so much time. Obviously, a lot of the lead time in big(ger) publishing is due to artefacts of their chosen process, many of which are not really applicable to an ebook-only outfit, but even that leaves out the one big reason why long lead times are actually a good idea when possible. Namely, a longer lead time increases quality, more so than anything else you can do. Even without involving other people, freelancers, staff, or money, taking a little bit more time to think (or not to think, to get a bit of distance) is the one major thing you can do that will drastically improve the quality of your work. Nothing improves a blog post more than letting it rest for a night before you publish. And when you’re working on something more substantial, giving a work a few week’s distance between iterations can be the difference between a half-baked plot full of warped and broken sentences and something more solid. The same applies to covers. After Jenný had completed the initial illustrations it was my turn to figure out how to turn those illustrations into covers. I do a test design of a cover, which everybody in our informal feedback group likes, but to which I always say “eh, I don’t know’. I wait a few days and do another iteration, which everybody likes, but to which I say “eh, I don’t know’. Then I do another—well, you can see where this is going. The League Gothic for the titles was the biggest surprise of all. I’m generally not that fond of it but it just clicked in place when I tried it for the main title. The aspect ratio was another surprise. I’d always envisioned much narrower covers but the overall style just didn’t feel right until I made them wider. At this point, Studio Tendra has done eleven covers: the six books of the Knights and Necromancers series, four books in a series of annotated public domain books (which I’ll tell you all about in a few weeks’ time), and one in an aborted project you probably will never hear anything more about. Jenný’s taken on more and more of the layout and design part of the cover creation process. The covers of our next project are almost entirely her work where there’s not much left for me to do except to make sure that there are no typos in the text. And a few days ago we finished the last two covers in the Knights and Necromancers series. I haven’t added them to the Heartpunk website yet, but here’s a preview for the impatient among you.